The Anderson Valley Winegrowers Association is grateful for the generous support of our sponsors. Our sponsor members have an enormously positive impact on the AVWA. We appreciate their support greatly, and look forward to seeing them at each festival and event. Each organization really helps us in meaningful ways throughout the year, and we are grateful and appreciative, more than anyone can possibly imagine, and again we thank them very much. We invite you to scroll down this page and meet them. At American AgCredit, our 90+ years of agricultural lending experience set us apart from the others. We offer a broad range of agricultural loan, leasing and insurance services from orchard, timber, row crops, winery and livestock financing to equipment leasing and construction financing. Let us show you how hard we'll work to get and keep your business, and we'll work even harder to earn your trust. Northern California's premier 'back to nature' event facility available for corporate retreats, weddings, festivals, camps and other creative events. Camp Navarro is ideally situated in the redwoods between world class wine country and the spectacular Mendocino coast. We create inspiring events that will leave lasting memories and impact. 34 cabins plus additional idyllic Glamping facilities are just over a 2 hour drive from San Francisco and yet worlds away... Welcome! tradition of wine tasting, yet keeping wine drinking simple. Within the 12 available collections, the label produces both mouth blown and machine made glasses. Known as “the wine lover’s label,” Lehmann Glass stands for the most innovative and elegant shapes in the industry, creating oenological tools that enhance aromas of all wines, a modern product range respecting the tradition. All products developed by Lehmann Glass are lead free crystal. For 50 years, G3 Enterprises, Inc. has been providing traditional to alternative bottle closures, servicing international markets in Canada, Mexico and Europe. DIAM is a technological closure with a patented composition, which is manufactured from cork and treated by the patented DIAMANT process. The DIAMANT process uses super-critical CO2 to eradicate 2, 4, 6 – trichloroanisole (TCA) and 150 other compounds. Each Diam cork is guaranteed to have no TCA (below the detectable TCA ? 0.3 ng/l). DIAM has sold more than 1 billion corks to date and continues to invest in research and development. Founded in 1982, Wine & Spirits Magazine is published eight times a year and read by over 200,000 members of America's wine community. The magazine includes articles on established and up-and-coming wine regions and producers, the art and science of viticulture, restaurant and industry happenings, and food and wine pairings. W&S evaluates more than 15,000 bottlings every year and has earned five James Beard Journalism Awards - more than any other wine publication - for excellence in wine. Wines & Vines Magazine offers a comprehensive collection of products providing news, information, marketing and research capabilities. Our monthly magazine, Directory/Buyer's Guide and Online Marketing System provides a wide range of solutions to give you the tools to be successful in the wine and grape industry. The Press Democrat is the North Bay's leading daily newspaper, covering Sonoma, Mendocino, and Lake Counties. Based in Santa Rosa, California, the newspaper has a daily circulation of 80,000 and reaches more 250,000 of the region's residents. Gerald Reis has created original art to commemorate Anderson Valley wine festivals for many years. Prints of his original paintings are available for purchase from the artist. Gerald's approach to art & design combines classic images with a contemporary bent giving his work an unadorned attractive simplicity. His graphic art has won numerous awards in competitions and has appeared in several prominent publications. He has been included in many exhibits including the San Francisco Museum of Modern Art and many of his works are part of the permanent collections of the Library of Congress and San Francisco Museum of Modern Art. Gerald works from his studio in Yorkville, California, and also creates identities and product packaging for restaurants, retail stores and major corporations. Hundreds of miles of hiking trails, endless unspoiled beaches, verdant hills, and secluded lakes await when you Visit Mendocino County. Here you can easily find solitude and beauty around every bend, and escape from the everyday grind of the outside world. Whether it’s the natural beauty and scenery of the newly designated Point Arena-Stornetta section of the California Coastal National Monument, giraffes galloping along the Pacific Ocean’s edge, or a tree so large you can drive your car through it, every day brings a new discovery and new memories to last a lifetime. Mendocino WineGrowers, Inc. are farmers, winemakers and artists — free thinkers who value our land, our people and our independent lifestyle. We create balanced, pure wines from grapes grown on unspoiled land, wines that express the individuality of Mendocino’s 10 diverse appellations. The region is dominated by family farmers — some tracing their roots to the first settlers in the 1850’s. These farmers, grape growers and winemakers among them, were at the forefront of the sustainable, organic, Demeter certified Biodynamic®, and Fish Friendly farming movement long before it gained the attention of the general population. “America’s Greenest Wine Region” is healthy foods and beverages and accessible yet pristine travel destinations. Our hospitality is genuine, our pace unhurried. Discover our small towns, meandering country roads and savor our wines. Sonoma Clean Power (SCP) is the public electricity provider for Sonoma and Mendocino counties. We provide the option of using cleaner electricity at competitive rates from sources like solar, wind, geothermal and hydropower. SCP is a not-for-profit public agency, independently run by the participating cities of Cloverdale, Cotati, Fort Bragg, Petaluma, Point Arena, Rohnert Park, Santa Rosa, Sebastopol, Sonoma, Willits, Windsor, and the counties of Sonoma & Mendocino. To fully understand what Sonoma Clean Power does, please visit our site. We look forward to serving you! Sunridge Nurseries is one of the most trusted and respected name in the grapevine nursery stock industry. We have earned that reputation through years of dedication, honesty, integrity and a commitment to uncompromising quality. We know livelihoods depend on us fulfilling our promises. Our customers count on us to deliver a product that performs the way we say it will–harvest after harvest after harvest. A fully permitted compost facility between San Francisco and the Oregon border, Cold Creek is committed to developing and producing high quality, nutrient rich soil amendments. Cold Creek Compost was a pioneer in what is now considered Sustainable Materials Management and is committed to producing an organic fertilizer superior to traditional chemical fertilizers. Winesong is an annual charity auction and wine + food tasting produced by the Mendocino Coast Hospital Foundation. Proceeds are used to enhance equipment, facilities and services at the Mendocino Coast District Hospital. Since 1985 Winesong has raised over $7.5 million for improvements in local healthcare. Bright Event Rentals is your full-service rental company for special events of any size in Northern California. We offer an extensive product collection that enables you to express your own unique style. You can count on us to deliver the merchandise, tools, and services that will make your preparation simpler - and your occasion excellent in every way. Your guest's comfort is the of the upmost importance and that's why Mendocino Portable Restroom Trailers provides the best, most luxurious and competitively priced amenities available on the Mendocino Coast. Big River Coffee Company is devoted to providing consistent quality coffee to our customers. Our green bean buying philosophy is to purchase the finest environmentally conscious coffee available. On the forefront of the shade and organically grown coffee revolution, Big River Coffee is a standout in Northern California’s competitive coffee industry. Costeaux French Bakery is a full service scratch bakery renowned for its world-class artisan and sourdough breads, made-to-order bistro cuisine (serving full breakfast and lunch daily), and legendary desserts. A Healdsburg tradition since 1923, Costeaux has always been family owned and operated. David offers a very fair price for 5 gallon jugs of water, is dependable and flexible with drop-off and pick up times, for any quantity of water you need. 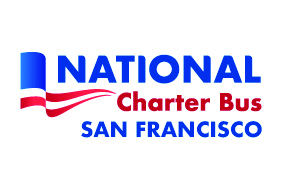 National Charter Bus conducts wine tours in and around Anderson Valley, Sonoma County, Napa Valley, and other parts of California and is one of the most trusted and sought-after motorcoach reservation services in the industry. With access to a large selection of charter buses and minibuses that consistently rank at the top of industry safety examinations, we ensure that every client gets a high-quality experience, every time.